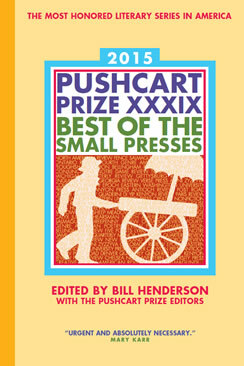 Peauxdunque is proud to boast two Pushcart Prize nominees among its members this year! Founding Peauxdunquian Maurice Carlos Ruffin has been nominated by The Knicknackery, which published his story, “Heathen,” in its Issue Two. And Caroline Goetze, the newest denizen of Peauxdunque, has been nominated by Quaint Magazine for her story, “The Night Baker,” published in that magazine’s inaugural issue. This entry was posted in Peauxdunquians in the World and tagged Caroline Goetze, Maurice Carlos Ruffin, Pushcart Prize, Quaint Magazine, The Knicknackery by swampytad. Bookmark the permalink.